Although my son Kai loves to play with the neighborhood kids after school, sometimes he just wants to chill in the AC after a long day of studying. As an artist, I love to keep his hands busy and his mind creative while he is watching TV. 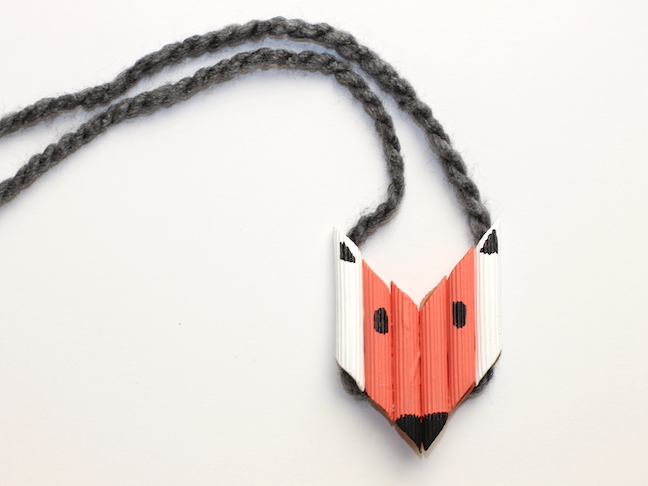 This foxy pasta necklace craft is a simple project that will do just that. The best part about this project is that you more than likely already have everything you need in your house. If your kid isn’t big into wearing jewelry, no biggie! 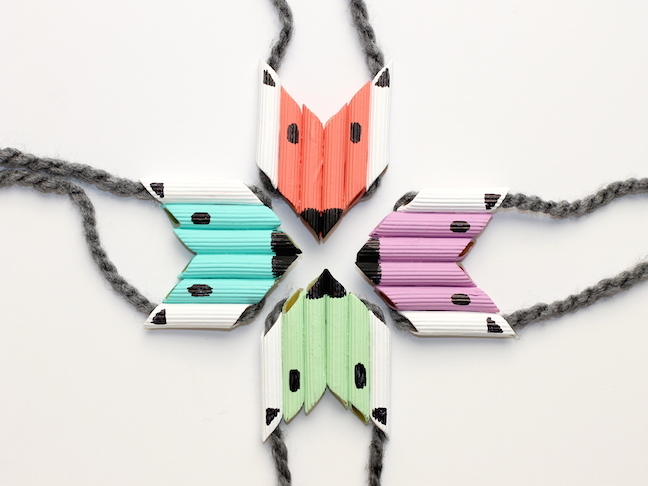 Just shorten the string and tie it to your kid’s book bag as a backpack tag. 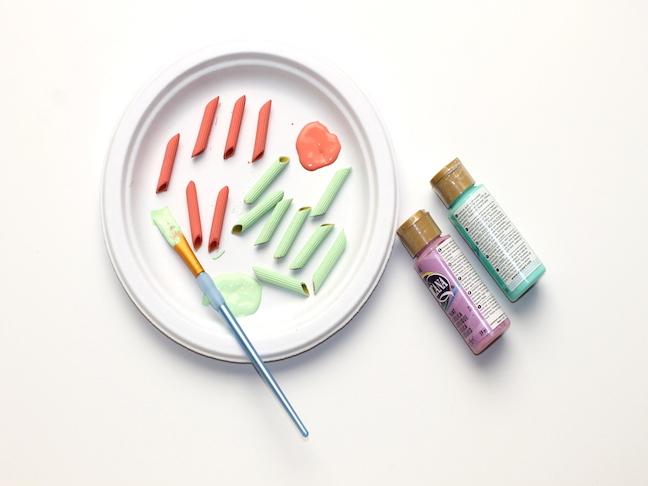 Step 1: Paint the noodles. 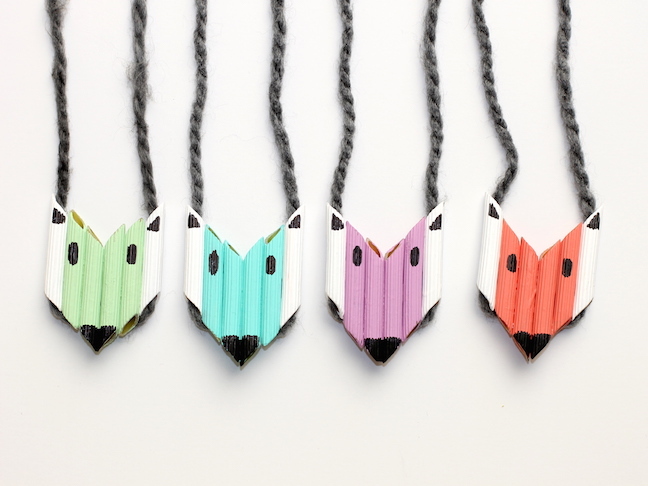 Each fox needs six noodles, two of which should be painted white. Let dry. 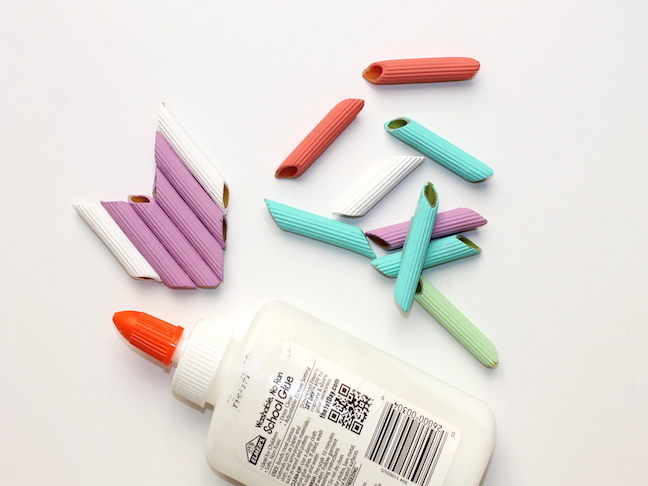 Step 2: Glue the noodles together so they create a pointed chevron pattern. Glue the two white noodles on the sides of the shape. 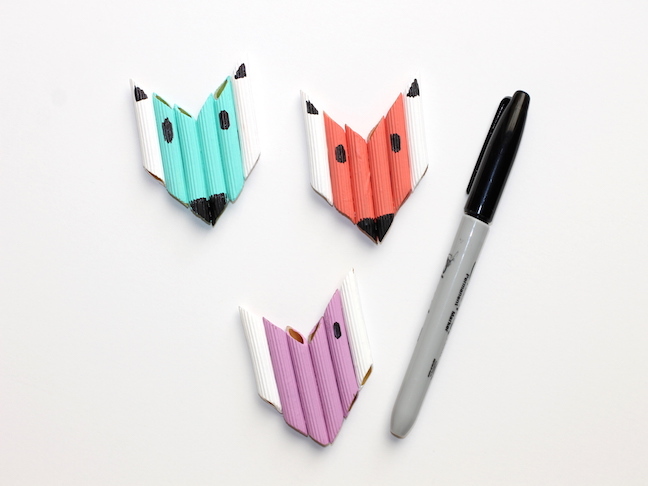 Step 3: Draw a nose, eyes, and ears on the shape with the marker. Step 4: Cut a piece of yarn so that it can comfortably pull over your child’s head. 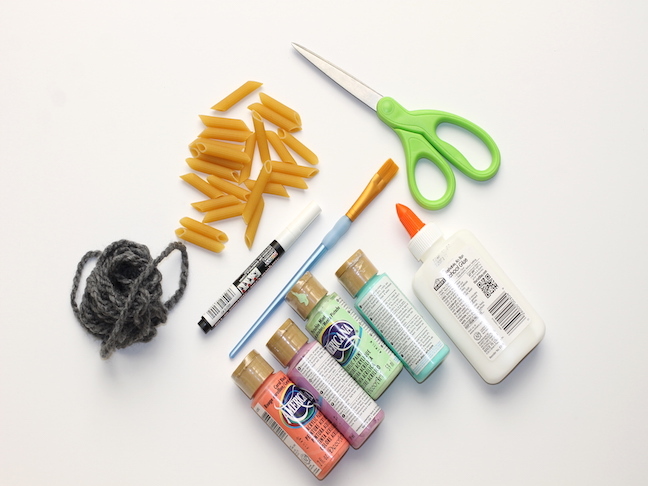 Use a skewer to help push the yarn through the two white noodles. 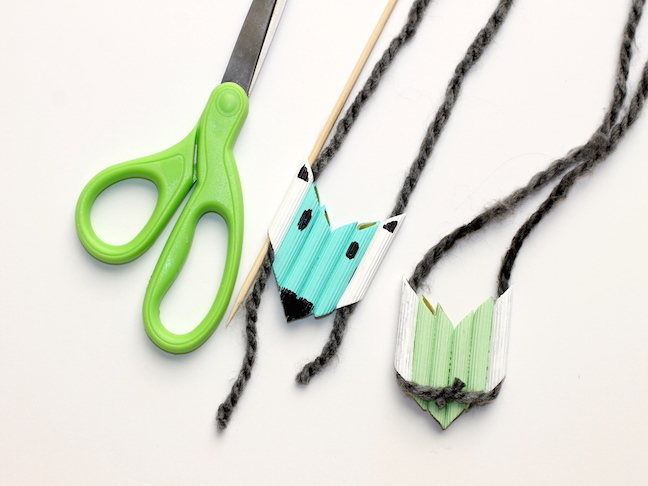 Then tie the two ends of the yarn together so it hides behind the pointed part of your fox’s nose.